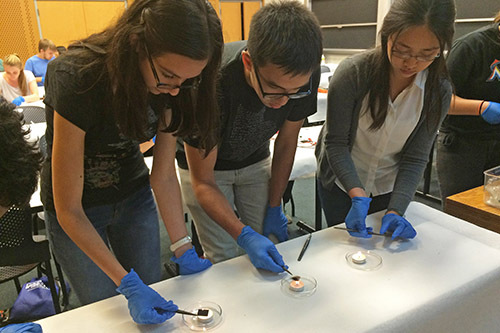 During the week of August 26, 2015, 23 incoming MIT undergraduates participated in the MIT Energy Initiative’s Freshman Pre-Orientation Program (FPOP)—Discover Energy: Learn, Think, Apply (DELTA). Elements of this year’s program included visiting the MIT Nuclear Reactor Laboratory, participating in an energy transportation tour in cooperation with the Massachusetts Department of Transportation (MassDOT), and playing a round of World Energy, the energy science and policy simulation game. Students had an opportunity to get to know the Institute’s campus and surroundings, MITEI, and one another through an array of activities, presentations, and discussions. New undergraduates met members of the MIT Energy Club, participated in a photo scavenger hunt, visited the Museum of Science, and took a boat ride on the Charles River—activities designed to introduce them to the wealth of resources on the MIT campus and in the Boston area. 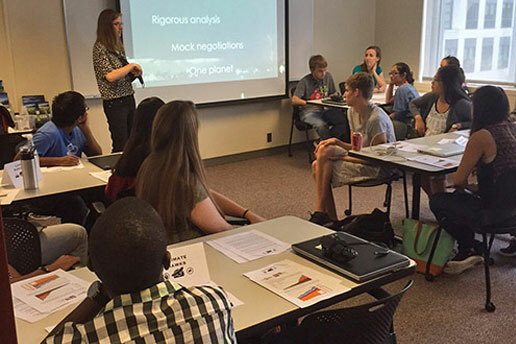 Climate Interactive’s Ellie Johnston leads a round of the simulation game World Energy during FPOP week. Students were assigned roles as nations of differing development status and asked to negotiate a deal that would sustain energy production and management into the future, based on their respective nations’ goals and interests. Photo: Ashley Cryan, MITEI. 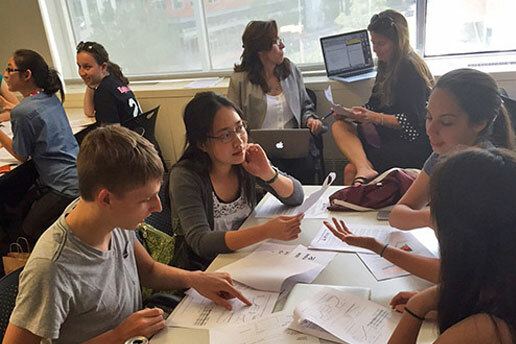 During the World Energy game, students discuss the best strategies to implement in the energy arena to keep carbon emissions as low as possible and prevent global climate change from becoming too severe while also meeting global demands for energy. Photo: Ashley Cryan, MITEI. 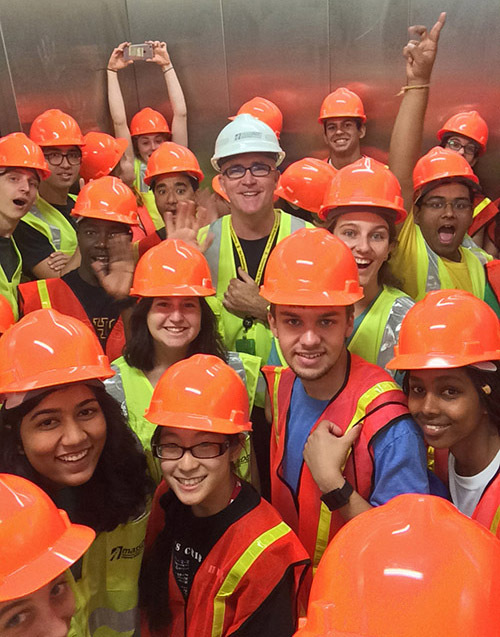 During a tour of Boston’s MassDOT tunnels, Kevin Arrigal, manager of station support for MassDOT (in white hard hat), accompanies FPOP students on an elevator ride down into a ventilation building beneath the city’s highway system. Photo: Sara Gallegos, MITEI.